Originally from Pearl City, Hawaii, Verena has been involved in the automotive industry for over 15 years. She was first introduced to racing while modeling for Toyo Tires from 2000 - 2002, at the height of Sport Compact Drag Racing. During these years, she grew a passion for racing. In 2002, on recommendation of Bobby Unser Jr., she sent herself to stunt driving school to test her driving skill, and she loved it. A month later, she sent went to the Frank Hawley Drag Racing School, and ran a 9.46 second quarter-mile, at 144 mph, earning her Pro Competition Drag Racing License, making her the fastest Asian -American female in the US. In 2004, the Bob Bondurant School of High Performance Driving, trained her to become a racecar driver. It was there, that she got her start in drifting while training in 300 HP Roush Mustangs, and made her debut into the drifting world in a Bondurant Roush Crown Victoria. That year, she bought her own car, and built it up on the G4 TV show Street Fury. 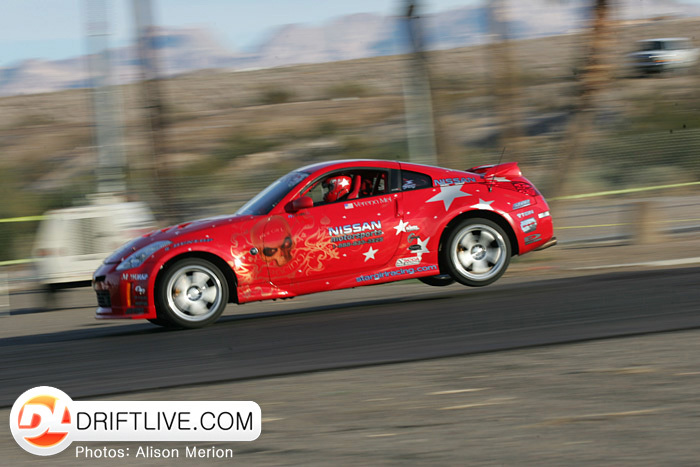 She was then chosen by Nissan Motorsports which built her a 484 HP, twin turbo 350Z for her to compete in the Formula Drift series. In her first season Verena was one of the first, and the top-female drifter in the North America. After 5-years of Formula Drift, she competed in the Redline Time Attack series, winning a class championship in her first year, placing podium at every event and becoming the first female to win a championship in the series. She also converted her custom 350Z to run on E85 fuel (again, in a TV show, Racing Greener) and was the first driver to win a championship in an alternative-fuel race car. In 2011, Verena took her driving skills to the dirt. 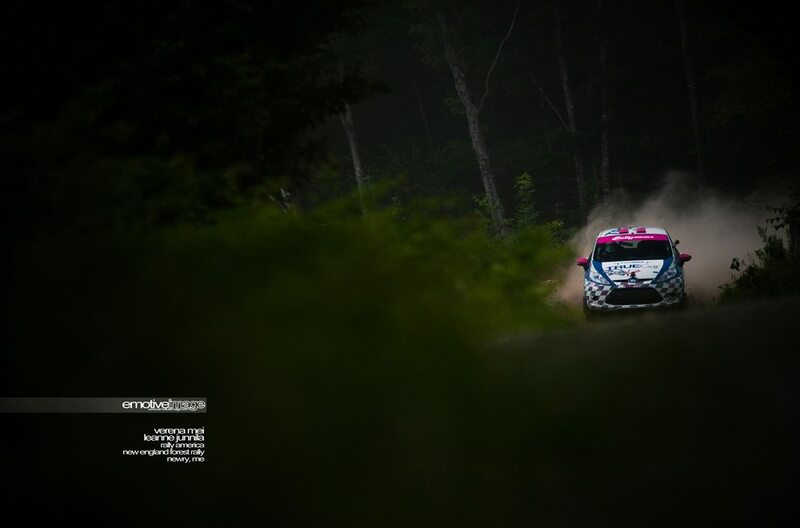 She moved to New Hampshire to train with the North American rally guru, Tim O’Neil, at the Team O’Neil Rally School, and completely immersed herself in the rally world with the goal to become a rally champion. Verena spent everyday at the school... learning and training, and helped build her own rally car. 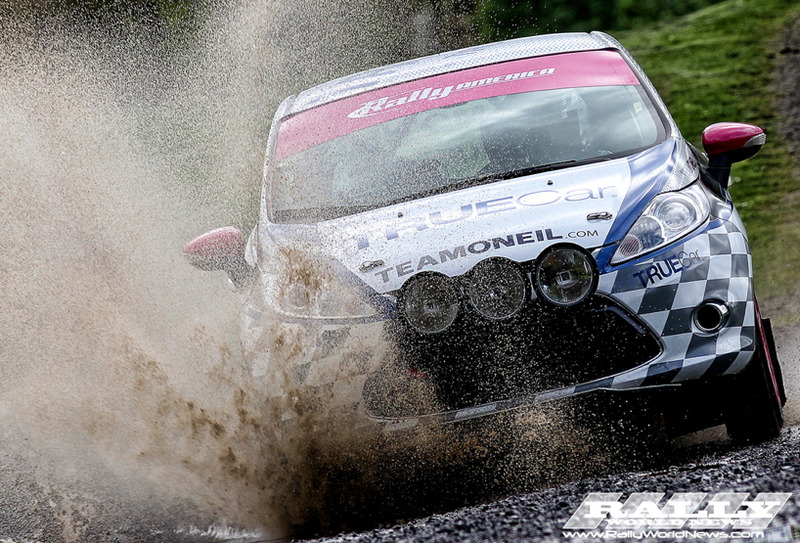 She has co-driven for the 2011 Rally America 2WD Champion, and got behind the wheel for her first rally in July 2011. In December 2011, Verena signed with TrueCar, as one of six female race car drivers that made up the TrueCar Racing Women Empowered Initiative. Verena raced in the Rally America series in the TrueCar Fiesta #335 with her co-driver Leanne Junnila of Calgary, and partners Virgin America, and Team O'Neil Rally School. 2012 was Verena's first year in the Rally America National Championship, and she had a successful season finishing all 6 races in the series. She won the B-Spec National Championship becoming the first all-female team to win a Rally America National Championship and placed 4th in the overall 2WD National Championship (with the least amount of horsepower in the series). Verena was tied for "Rookie of the Year" with her Team O'Neil teammate, "Fast Eddie" until the very last stage of the final race of the season, when Eddie pulled ahead. Verena is the first female to become a "Rookie of the Year" final contender in the history of Rally America. In 2013 Verena campaigned the tokidoki / TrueCar Fiesta for the race season. With an upgrade of brakes, hydraulic handbrake, gearing & cams, Verena stepped up a class, racing for the 2WD championship with turbo cars with twice the horsepower. Racing through a successful season, Verena had a shot of the podium for 3rd in the championship going into the last race of the year. Verena has been recognized four years in a row by the Lyn St. James Foundation at their annual Women in the Winner’s Circle event, for being a pioneer and making an impact in motorsports. She has also hosted and starred in automotive TV shows, appeared in the blockbuster movies “Fast and Furious Tokyo Drift”, Rush Hour 2, and attracts a lot of media attention when racing. Verena also has a Bachelor of Science Degree in Marketing, worked in advertising, trained at the Groundlings School for improv, and has extensive knowledge of the automotive industry - particularly in motorsports marketing. Verena has worked with most of the major automotive manufacturers for over ten years. She has been involved in numerous consumer ride-and-drives, dealer training, and press launches as a Pro-Driver, Product Specialist, Vehicle Production Manager, Facilitator, and Driving Instructor. She has also been a Brand Ambassador for companies such as BFGoodrich, testing tires, driving in commercials, speaking at national/regional sales meetings and product launches. Throughout the years working with automotive companies, Verena as been in a car with hundreds of thousands of people, sharing her passion and knowledge for driving. When Verena is racing, she rocks a tokidoki custom designed helmet by Simone Legno. “It was a great honor to be asked to design Verena’s helmet” said tokidoki co-founder and Creative Director, Simone Legno. Simone added, “Verena is a great driver, and she embodies the tokidoki spirit. She is very tough and aggressive behind the wheel, while still being feminine and fashionable out of the car. . ."
In 2014 Verena was selected to become a Fiesta Movement Agent for Ford's Fiesta Movement Campaign as a voice for the 2014 Ford Fiesta ST. Ford gave her a Fiesta ST for six months to drive everyday while seeking adventures. In 2014, Verena became an eBay Motors Blog contributor which allows her to continue to share her passion for cars and driving. In 2015 Verena had been recognized as Microsoft Lumia's Person of Action and has been featured on Vice Media's "Broadly Meets" to tell her story of how she got into racing and rally. In 2017, Verena got her introduction to e-sports while hosting the Forza Racing Championship - NYC Invitational live from the flagship Microsoft store. A few months later she was on stage for the Forza 7 announcement and worldwide debut of the 2018 Porsche 911 GT2RS at the Xbox live briefing at E3. Her personal goals, through her accomplishments, are to be a positive role model, empower women, continue to pave the way for the future of women in motorsports, educate teens about car control and the importance of safe driving, and continue to share her passion & knowledge for driving.